Last month, when Trina released a single titled “F-ck Love” reports began to stir that the track was about her ex-boyfriend French Montana and Khloe Kardashian. Trina had been very close to family prior to their fling. 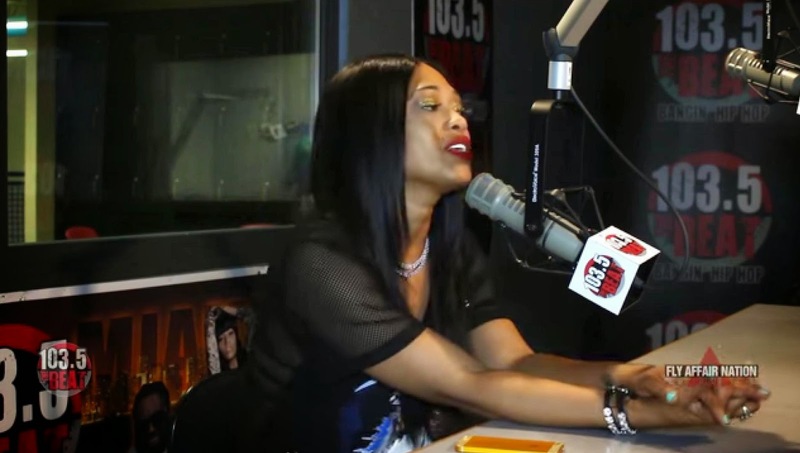 Now in a recent interview with K. Foxx on 103.5 The Beat in Miami, Trina cleared the air regarding her relationship with French Montana and friendship with Kim Kardashian. I haven’t spoken to her. The last time I saw her was at Kanye's’ concert in New York. I introduced him to the Kardashians at the Kanye West concert. I just feel like certain things are like, girl code. I don’t feel like Kim’s done anything to me. If this is my sister, I’ma rock with my sister for whatever it is. Ain’t nobody gonna turn me away from my sister. I respect that. I just feel like it’s not what you do but how you do it. If I’m with you like I’m sitting in this room with you today and then tomorrow I see you talking to somebody that I’m not cool with or I am cool with and I don’t know what’s going on and you never say anything, it’s a little disrespect. But you go do your thing, I’ll do my thing. It’s all good. I don’t do this sneak diss. If I’m at you, I’ma say your name. I never told anybody publicly that I was in a relationship with French Montana. We were friends, and I always built a great friendship before a relationship, and the relationship was just never that. I’m around you. We do business. We do music. I respect you. I thought you respected me and that’s the situation. I feel like, some things you just don’t do out of respect. I feel like if you’re doing something that’s side and I’m still around you, that’s not where I want to be. I don’t want to be in that situation because we’re all grown. You have the right to go your way and I have the right to go my way. That’s just how it is.